05 Jul 2017 --- Nestlé Breakfast Cereals, made by Cereal Partners Worldwide (UK), are set to reduce a further 10 percent of sugar content across its cereal range by the end of 2018. The move will see around 225 million fewer teaspoons of sugar in the nation’s diet as part of an ongoing program to reduce average sugar across the entire product portfolio. These changes will be achieved through a combination of reformulation and by growing the share of lower sugar variants. Since 2010, Nestlé Breakfast Cereals in the UK has been on a mission to reduce its average sugar content by 15 percent across the portfolio. 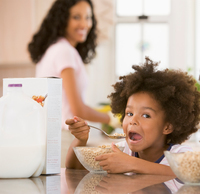 Nestlé Breakfast Cereals’ new commitment to improve the nutrition profile of its cereals builds on more than a decade of reformulations in reducing sugar and salt whilst increasing levels of whole grain content. Nestlé Breakfast Cereals sold in the UK in 2016 contained a further 3,600 tons of whole grains compared with 2003 levels. “We’ll take every opportunity to drive forward improvements across our range. For example, by the end of this year, our cereals will be free from artificial flavors and colors across our entire product portfolio. Making these improvements is crucial to us offering better choices for our consumers while retaining the same great taste,” notes Eccles.